Blue Tangs are often found roaming the reef, in search of their favourite food - algae. They are surgeonfish which may appear either singly or in large schools, which can contain hundreds of individuals. The name surgeonfish comes from the defensive spines located on the caudal peduncle (the part of the fish between the tail and the rest of the body) which are as sharp as a surgeon's scalpel. They are herbivorous, eating plants and algae, so their spines are used only for defense. Blue Tangs are sometimes found schooling with other members of the surgeonfish family. These schools form around dusk when nocturnal predators, such as moray eels, begin to hunt. These schools provoke an aggressive reaction from the smaller damselfishes defending patches of algae. The true Blue Tang is Acanthurus coeruleus, which found in the Caribbean Sea. Other fish are also sometimes referred to as Blue Tang. In the Red Sea, for example, there is Zebrasoma xanthurum, more properly known as Yellowtail Tang. Also in the Indo-Pacific masquerading as Blue Tang is the Palette Surgeon, Paracanthurus hepatus; familiar if you've watched the "Finding Nemo" film. As you might expect, blue tangs are largely blue. The Caribbean Blue Tang, Acanthurus coeruleus, has a bright yellow or white spine. It lives between 3 and 28 m on rocky or coral reefs. As it is unafraid of divers you can usually get quite close to it. The Blue Tang, and other surgeonfish, are important on a shallow coral reef because they help keep the algae in check. Without them the algae would grow so fast that coral larvae settling and trying to make a start on the reef would soon be overgrown. As the number of marine species assessments increases, so does the number of species in danger. The 2007 IUCN Red List of Threatened Species shows that excessive and destructive fishing activities play a primary role in oceans biodiversity loss. Out of the 41,415 species on the IUCN Red List, 1,530 use the marine environment. Out of these, about 30% are at risk and 80 are threatened with extinction. While some 240 have been newly added to or reassessed for the 2007 Red List, 71% are in jeopardy, with 31 species facing high risks of extinction. Carl Gustaf Lundin, Head of IUCN’s Global Marine Programme, said: "The rate of species loss in the world's oceans will continue, and at an accelerated pace, if serious actions aren’t undertaken to overcome what we can call the oceans crisis." "Habitat destruction, pollution, climate change and other human-induced disturbances explain why biodiversity is disappearing" he continued. "However, over-fishing and destructive fishing practices represent by far for the most important threat to the marine environment. Fishing operations, from local, often illegal, dynamite fishing to large-scale industrial fishing, have devastating effects and will lead to further extinctions." Corals have been assessed and added to the IUCN Red List for the very first time. Ten Galápagos species have entered the list, with two in the Critically Endangered category and one in the Vulnerable category. Wellington’s Solitary Coral (Rhizopsammia wellingtoni) has been listed as Critically Endangered (Possibly Extinct). The main threats to these species are the effects of El Niño and climate change. In just a year, both Spingy Angelsharks and Smoothback Angelsharks have moved from the Endangered to the Critically Endangered category. The two species used to be a common and important deep-water predator over large areas in the Mediterranean Sea and the Eastern Atlantic. Highly vulnerable to by-catch in bottom fishing operations, angelsharks’ abundance has declined dramatically during the past 50 years to the point that they have been extirpated from large areas of the northern Mediterranean and parts of the West African coasts. The Mary Rose trust is organising a 25th anniversary reunion for divers who took part in raising the historic warship. The Mary Rose is the only 16th century warship on display anywhere in the world. 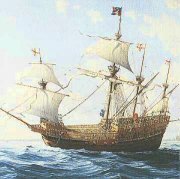 Built between 1509 and 1511, she was one of the first ships able to fire a broadside, and was a firm favourite of King Henry VIII. After a long and successful career, she sank accidentally during an engagement with the French fleet in 1545. Her rediscovery and raising were seminal events in the history of nautical archaeology. The reunion is to be held on 10th, 11th and 12th October in Portsmouth. WWF-Canada have released a new study that identifies three coldwater coral "hotspots" off Newfoundland and Labrador and assesses the impact of fishing on these fragile organisms. The study provides the scientific basis for Canadian and European governments to protect sensitive coral habitat in the Northwest Atlantic. Coldwater corals are long-lived animals that live along continental slopes, seamounts, and mid-ocean ridges. These corals are important parts of deep-sea ecosystems and provide habitat for other invertebrates and fishes. Coldwater corals can be damaged by fishing or other seafloor directed activities and may take centuries to grow back, if at all. "Canada, Spain, Portugal and Russia are the countries that have the greatest potential to damage these globally important concentrations of corals," said Dr. Robert Rangeley, Vice President, Atlantic, WWF-Canada. "Their fleets are among the largest operating off Newfoundland and fish in and around the areas identified as hotspots. This also means they have the greatest opportunity to protect them." "Our study mapped where corals are found, and identified areas where coral bycatch is highest for a variety of fisheries and gear types," said lead author of the study Dr. Evan Edinger. "Our research demonstrates that no matter what type of fishing gear is used, bottom-contact fishing in coral habitat damages corals. Therefore, it is very important that any areas established to protect corals exclude all bottom directed fishing activities." This research builds on a growing global movement to protect coldwater corals and seamounts. In 2006, the United Nations General Assembly called on fisheries management agencies like the Northwest Atlantic Fisheries Organization (NAFO) to implement vulnerable habitat protection measures by December 2008. 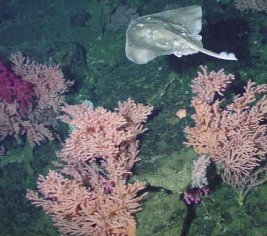 In response, last year NAFO signalled their intent to protect seamount habitats. Says Paul, "When the image of the wreck came on the echo sounder, smiles appeared on the faces of me, Aaron and the captain & crew. To find a wreck like this, and then to dive it, gave us all a great sense of achievement and whilst swimming round the wreck I couldn't stop thinking that I may be the first diver to see this. An amazing feeling!" The 125m-long ferry sank in a fire caused by an explosion in its engine room in 1994. The boat's 505 passengers and 63 crew were forced to abandon ship. Several vessels came to the aid of the stricken vessel, including the USS Briscoe, however the ship capsized and 21 people lost their lives. Pinna nobilis, the giant bivalve, is endangered. Although in some places it has historically been abundant, there has been a lack of up-to-date information about its exact distribution. SCUBA divers therefore went looking for the giant mussel in the Ionian Sea, Italy. The results of the study indicate a tentative of recovery of P. nobilis population there, in spite of all the difficulties of a degraded and heavily polluted environment and the damages of illegal fishing methods. The survey method employed in this study was non-destructive and relatively simple to perform. Pinna nobilis lives only in the Mediterranean Sea (which encompasses the Ionian Sea). It likes seagrass meadows and grows up to 120 cm. It sticks up out of the sea bed so is easily seen by divers, once you know what to look for. 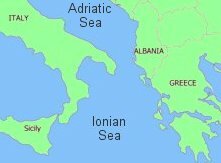 Although in the Ionian Sea the mussels were found between 3 and 16 m, in other areas of the Med, such as the Adriatic Sea, they live down to 30 m.
In another study, published last month in the Marine Biology journal, Stelios Katsanevakis of the University of Athens investigated the growth and mortality rates of Pinna nobilis in Greece. He found 160 of the mussels and monitored them for 17 months. He discovered that growth rates had a seasonal pattern. The mussels grew slowly during the cold months, and also during August when water temperatures exceeded 29 oC. They grew quickest during late spring and early summer, probably due to an optimum combination of temperature and food availability. Younger individuals grew faster than older ones. P. nobilis is a protected species in the EU and its fishing is strictly prohibited. However, in the Greek study many deaths were caused by fishing. The mussels were poached exclusively by free-diving and fishing mortality was practically zero at depths below 9 m. Because of this large individuals were restricted to deeper areas. Environ Monit Assess 2007; 131:339-47.